Nothing beats having a colorful Kestrel nesting in your yard. The smallest of the North American falcons, they are found throughout North America in open areas and grasslands, and adapt well to suburban areas. 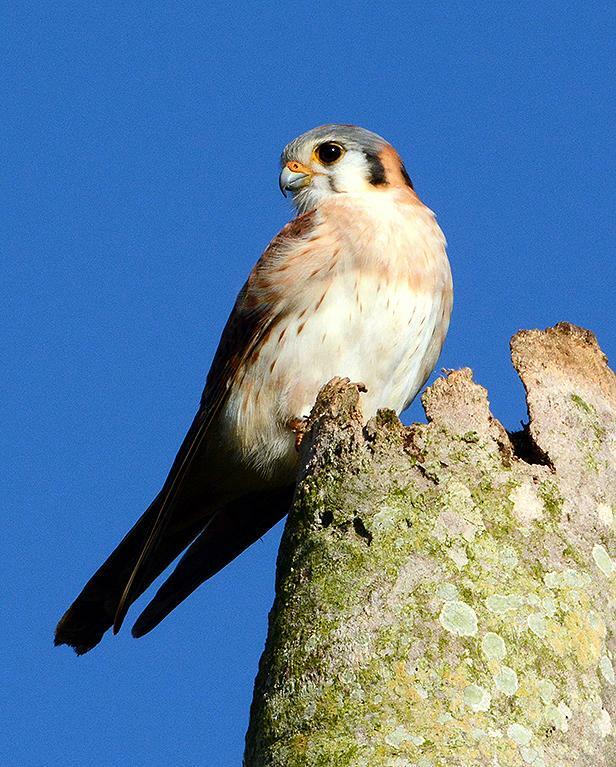 Kestrels eat insects as well as small birds and animals. They can’t excavate nestholes themselves, but rely on those already created by other animals. But these are in shorter supply as trees with cavities are often taken down. As a result, these beautiful falcons can’t nest and are experiencing a decline in numbers. Won’t you give a Kestrel a home? You can purchase a kestrel nestbox, or make one yourself. Check out these plans from Cornell Lab of Ornithology, and try to get the box up in February as in some areas these birds will begin nesting in March. And please sign up for Nestwatch to send info on the birds who nest in your yard, as data on these birds is needed. Check out Cornell’s Nestwatch for more information.